t u e s d a y s: nikko pt. 2: monkey wa doko desu ka? he was on my hike to ryuzu falls. he and his whole monkey family, actually. to answer your question: yes, their butts are as bright red as their faces. 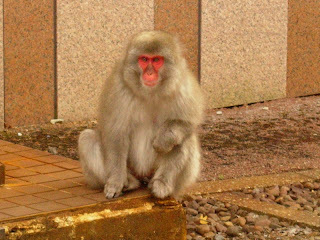 he's a macaque, by the way. i wonder if former senator george allen has been to nikko?